Helen Keller has said that “the only way to get to the other side is to go through the door.” This is certainly true in the work of transforming painful emotions, such as those we experience after a divorce, into healing and growth. 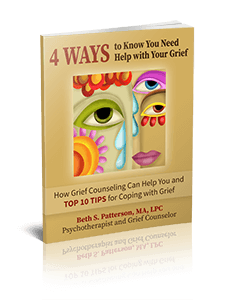 This process involves allowing ourselves to feel the intense emotions of grief – sadness, anger, despair and other difficult emotions, as well as tapping into our internal strengths and external sources of support. Narrative therapy is thus an empowering vehicle for “re-authoring lives” (Carr, 1998, p. 468; White, 1995), in which the therapist takes the role of a partner or collaborator with the client, rather than an authority figure (Angell, Dennis & Dumain, 1999).. The narrative therapist partners with the client to create a safe place to feel the emotions of loss and change, and to explore the stories that give meaning to the client’s life. The use of narrative or story is a useful vehicle for making meaning and sense of difficult experiences in our lives, by allowing us to access alternative cognitions and gain self-knowledge. A narrative therapy tool that is often used in this work is the use of written expression, such as journaling and letter writing. 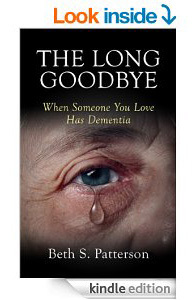 This can be a powerful vehicle for expressing the emotions of loss and change and accessing the individual’s unique internal strengths and resources. The collaborative approach of the narrative therapist can be useful for accessing the client’s spiritual strengths by respectful inquiry into the client’s worldviews, including his or her beliefs before the loss, and how they may have changed since the loss, and discussing spiritual and existential issues that arise in this context. (Calhoun & Tedeschi, 2000, p. 167). As one gets in touch on a deep level with his or her own suffering and resiliency in the face of that suffering, he or she can begin to get a panoramic view of the human condition and tap into his or her spiritual strength. Religious and spiritual beliefs have been observed to be one way in which individuals create meaning and a sense of order and purpose to the human condition and its difficult transitions (Golsworthy & Coyne, 1999; Calhoun & Tedeschi 2000). Narrative therapy can be an effective tool for working painful emotions and finding new meaning in one’s life. The process of expression literally takes deep feelings out of the body, externalizing them so that they become workable. Through this process, my clients are able to see that they have some control over their lives, and can tap into their strengths and their inherent wisdom. 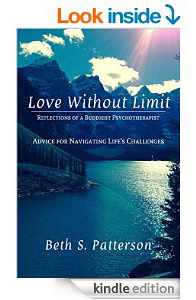 With my guidance as a partner on the path of healing painful life transitions, my clients can discover their unique strengths, resources and resiliency, deepen their spiritual beliefs, and enhance the meaning of their lives in the context of the human condition. This entry was posted in Life Transitions and tagged Depression, Despair, Divorce, Grief, Grief and Loss, Grief Counseling, Healing, Journaling, Life Transitions, Loss, Narrative Therapy, personal fulfillment, Relationships, Transformation. Bookmark the permalink.